There are a few possible setups for this build that all work effectively. The recommended sets are Marksman's Crest, Morag Tong, Hawk's Eye, Sheer Venom, Night Mother's Embrace and Hunding's Rage. The purpose of this build isn't for 40 metre bow snipes, instead it's a 20 metre burst attack with a bow. Potion: Dark Brotherhood Stealth Potions. Food: Triple stat food/ Dubious Camoran Throne. Preparation: Green Lotus; Bull Netch; Shuffle; Bird of Prey. 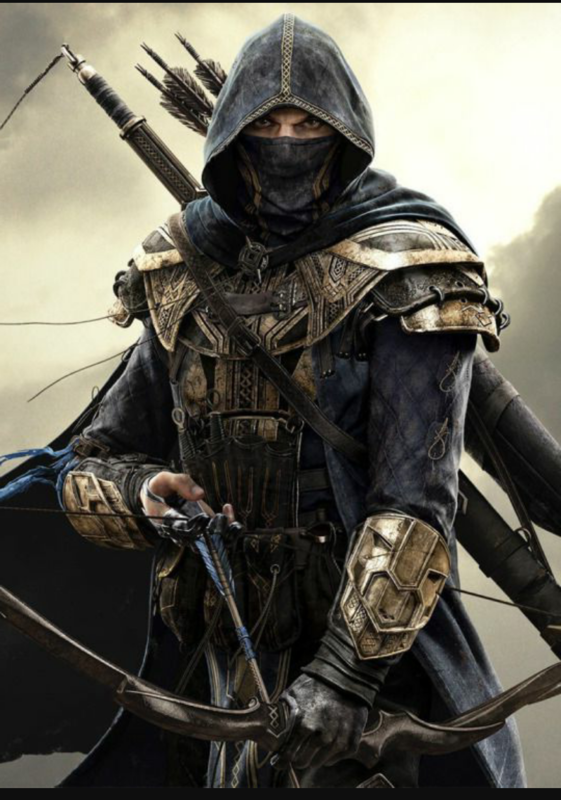 Combat strategy: Subterranean Assault; Lethal Arrow; Bombard (Ensure that this lands before Lethal Arrow to proc Morag Tong and the effect of the Asylum Bow); Bar swop; Poison Injection (Subterranean Assault should hit now as it takes three seconds after it is cast); Ballista (If they're still alive); Bar swop; Lethal Arrow. Invisibility potion to get away before attacking the next target. Other: This build works better in a group as melee players are able to protect you from enemies. Shimmering Shield is used when in open combat against ranged opponents. Try not to stay in combat for too long. If the battle gets dragged out it's best to disappear from the fight momentarily. GUILD: I'm an Aldmeri Dominion player on the PC EU server. If you would like to join my social guild (Eagle Empire) send me an in-game message for an invite or if you have any questions @WhiteFang_Wolf. what category you put your attribute points in? Was looking for a woodelf build, and I’m really looking forward to trying this out!